James V became king aged eighteen months, and during his minority was at the mercy of the various factions that sought to control the Government – much of the political turmoil being an off-shoot of wider European conflicts. Once he took control of Government himself, James quickly showed that he was made of stern stuff – setting out to tame his nobles and impose his authority, whilst gaining a reputation amongst the ordinary people as a giver of justice. James was an indefatigable traveller – partly for political purposes, but also to indulge his love of hunting. He also, unusually for a king, spent several months abroad when he visited France to find a bride. James V was not just a soldier, a politician and a judge, all traditional roles of Scottish kings: he was also a musician, a poet and a lover of art and architecture – a true Renaissance Prince. There is a dearth of modern, easily available books on James V. Most works touching on him are broader histories, or dense academic works concentrating on a particular theme. 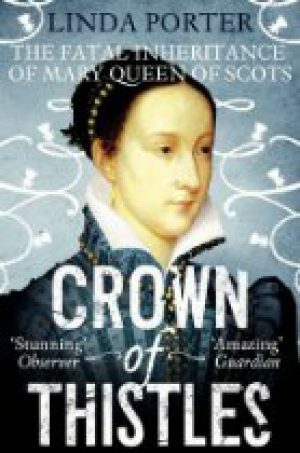 The most accessible information is in Linda Porter’s ‘Crown of Thistles’.